The art of hand-carving – angkor style! In 2016, Artisans Angkor produced a unique craft piece for the personal house of Mrs. Yin Daravy, Managing Director of the Interior Design & Furniture boutique Artwood (Phnom Penh). 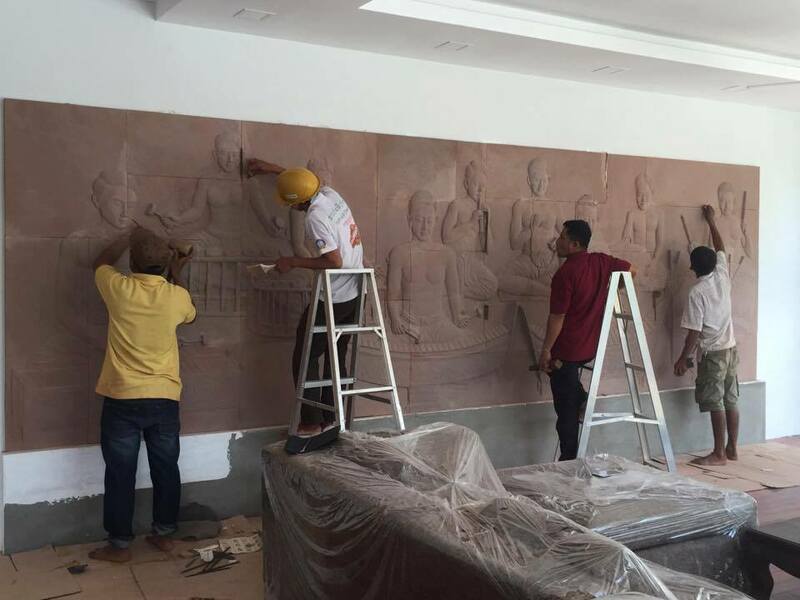 As you can see below, the special order in question was a huge sandstone bas-relief, depicting Cambodian traditional musicians. 3 months were necessary to achieve this 180cm high and 850kg weight handmade carving. 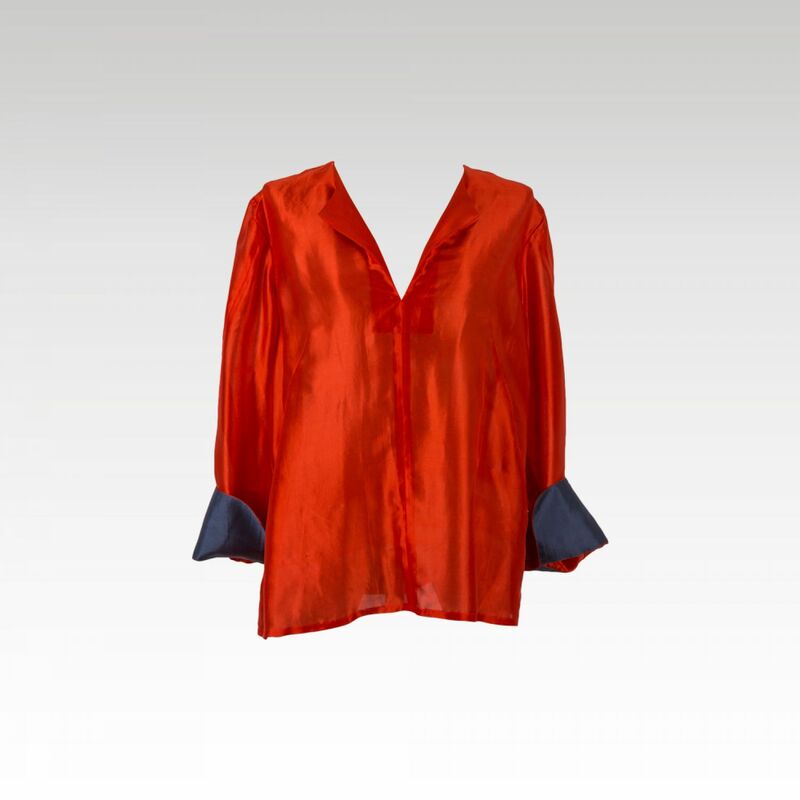 Its design was created by our Research & Development department, according to Mrs. Yin Daravy’s expectations. Let’s get back on an amazing traditional carving process, through the live feedback of this successful Cambodian woman! 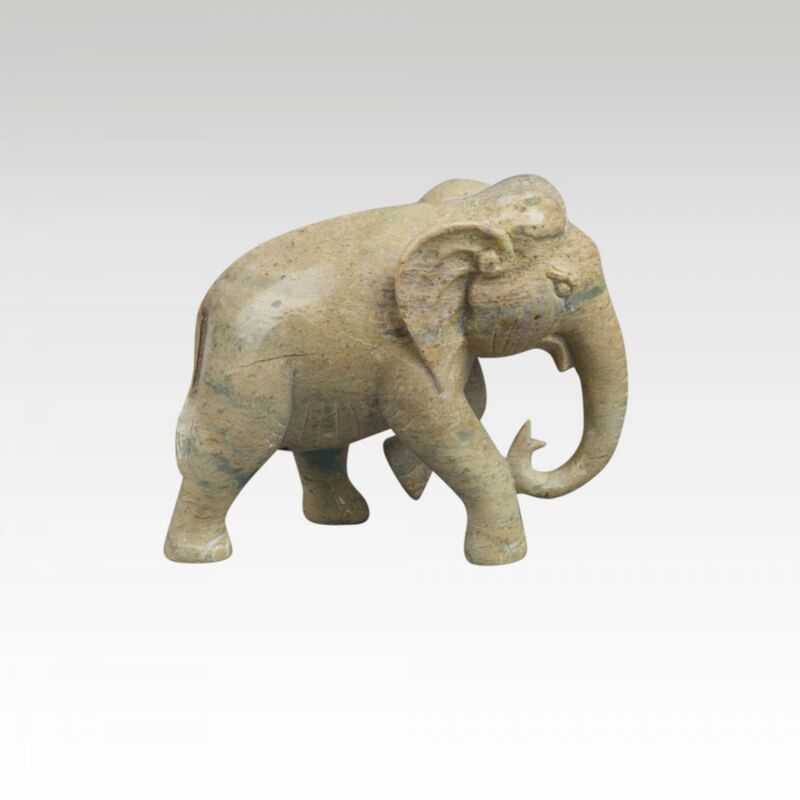 Artisans Angkor: How did you discover Artisans Angkor and why did you choose our company for the decoration of your living room? Ravy: I sometimes have to go to Siem Reap for professional purposes. When I’m there, I always drop by Artisan Angkor to see what’s new, especially regarding silk products. I admire the quality of the handmade craft pieces. Moreover, when I buy something from your social company, I feel like I contribute to help my own people: Cambodian people. AA: What do you like the most about Artisans Angkor? R: The fact that everything is handmade by passionate artisans. Nowadays, it’s really easy to get the work done by machines; only a few people have enough talent to produce beautiful things exclusively by hand. 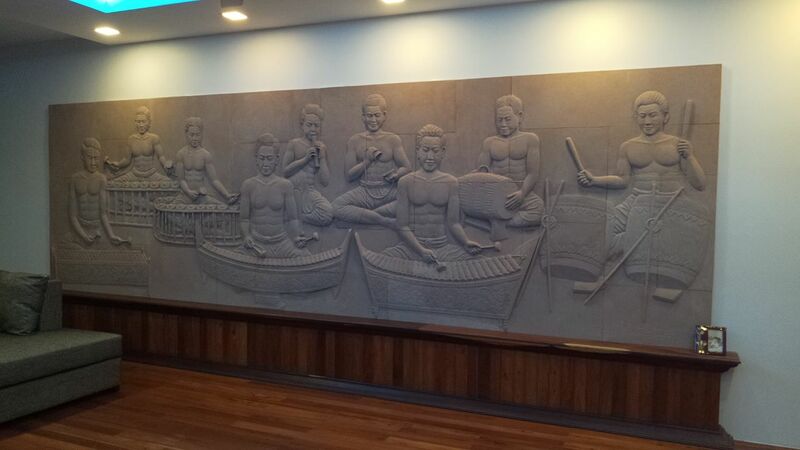 AA: Why did you ask for traditional Cambodian musicians to be carved? R: As an interior designer, I love unique, exceptional new things! I decided to give the idea of a local musicians “band” to Artisans Angkor because it felt previously unseen, and I trusted them with the rest! AA: How happy are you with the result? R: I must admit it took a long time to be finished (3 months! ), but I understand why quality handmade processes are time-consuming. I am really happy with the result! I also would like to emphasize that Artisans Angkor’s staff was really nice and helpful. I especially liked working with your after sales service manager; she was a friendly help during this project. Interview conducted by Artisans Angkor in November 2016.